My home has been foreclosed but the second mortgage is still showing an outstanding balance on my credit report -- should that be? How do I remove this? I expect "foreclose" status to remain for seven years but not the amount. Am I right? When a bank or mortgage lender forecloses on a mortgage, the loan will typically be reported as a "foreclosure" or "foreclosed" in your credit report. However, just because the mortgage has been foreclosed doesn't necessarily mean the outstanding balance is automatically wiped out. Typically, credit reports with a foreclosed mortgage will show the entire outstanding balance, so the way the first mortgage is being reported is actually accurate and can't be removed until it reaches the seven-year expiration timeline. 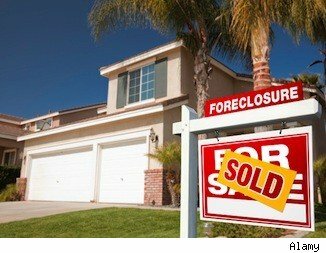 Foreclosure laws vary by state, but typically when a home goes into foreclosure the bank or mortgage lender will then attempt to sell the home to recover their losses. If the sale price of the home doesn't cover the outstanding debt, the remaining amount may be considered a "deficiency." Depending on your state laws, the lender may legally be able to attempt to collect on the deficiency amount or they may report the deficiency as "income" to the IRS if the debt is forgiven. This means you could end up receiving a 1099 (showing the forgiven deficiency as income) at the end of the year. Foreclosure vs. Short Sale: What's Worse for Your Credit?